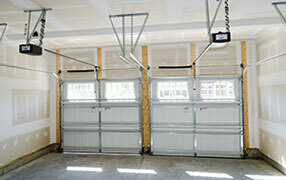 Aluminum Garage Door: this door is lightweight, which saves wear on springs; it will not rust like a steel door and handles weather conditions better than a wooden door. This door will last a long time. Steel Garage Door: this door is very heavy and hence durable; just remember if it gets a dent, it will be hard to get out. These doors have a wooden front, which do not require a bit of maintenance. This door would be the best buy for your money. Wood Garage Door: Many residential homes use wood garage doors, because of the look it adds to their home and because they are well insulated. This type of door requires a lot of maintenance; yet, weather can do a lot of damage to a wooden garage door. You can keep painting the wood door to keep its appearance up; but at bottom line, it really depends on the climate you live in. Craftsman Garage Door: is from sears, durable and very stylish, depending on which type you will choose. 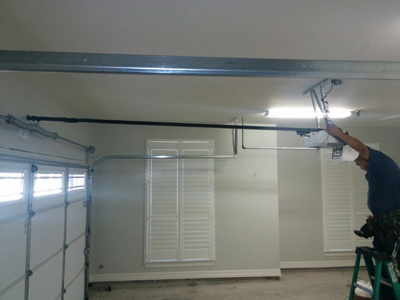 Replacing a garage door is time consuming and a hard job that should be performed only by professional technicians at Garden Grove Garage Door Repair. Check out our credentials first, you will want to find a service company that is boned and licensed in the state of California. 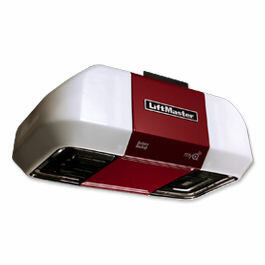 We make sure our technicians are well trained and certified to install your door and any other garage door parts, which might need replacement such as a door opener, that will open and close your door with a push of a button or a remote that will fit on your key chain. If you are not sure which garage door to choose, give us a call and we will come to your home to inspect your garage and inform you on which door type will be best for your house in Garden Grove.